Hello readers! I’m taking this Wednesday to kind of quickly post and acknowledge some of the awards I have been given. I know, I know, it has taken me a while to get around to this (sorry!) but I do appreciate each and every award I get. 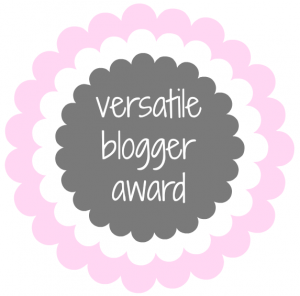 It’s an honor to be considered amid all the wonderful bloggers on here, so a huge THANK YOU!!!! 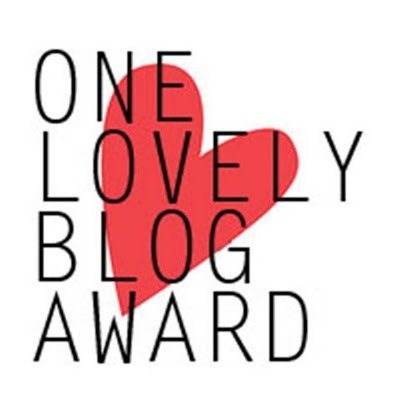 Thank the person who nominated you and add their link to your blog. Below are 7 facts about me! 1) Somehow I always manage to get sick or have motion sickness on trips. 3) I find snails absolutely terrifying and creepy. 4) Lois Duncan and Joan Lowery Nixon were two authors whose books I couldn’t stop reading during my teenage years. Locked in Time is still one of my favorites of all time. 5) I am signed up to to take a Cosmetic Chemistry course at UCLA this month and I am beyond thrilled. 6) I have this weird thing where I am intuitive to certain people. I can feel their emotions and know things about them without them telling me. I do not pick what individuals I have these strong ties too but it’s kind of eerie at times to say the least. It freaks people out, and me. By chance, does anyone else have this or know why this happens? 7) One talent I wish I had was the ability to sing. 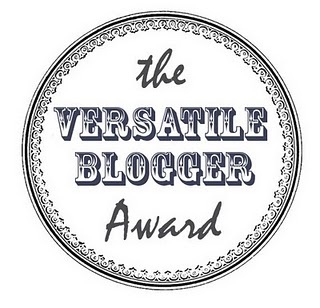 8 incredibly great blogs have nominated me for The Versatile Blogger Award! A big thanks to Someday Sunny, Makeup Crush Blog, Plus Beauty, Pores for Thought, Avon Insider Blog, Same Tay Different Day, Talking About Beauty and Thoughtsandthings1 for this! 1. Although I don’t mind seeing blood, just hearing the word blood makes me feel weak. 2. I get mistaken for Persian all the time. 4. The smell of cigarettes makes me physically sick. I can’t be around people who smoke for long without feeling nauseous. 5. I’m a stickler for manners. ‘Please’ and ‘thank you’ go a long way along with respecting others. 6. Carnations and tulips are some of my favorite flowers. 7. I once had a blind date at Knott’s Scary Farm. Yikes! Yeah, that didn’t go well at all. Thanks for reading and I’ll work on my other awards when I get a chance. 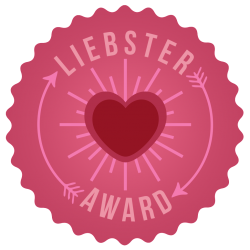 Liebster Awards 1 and 2! 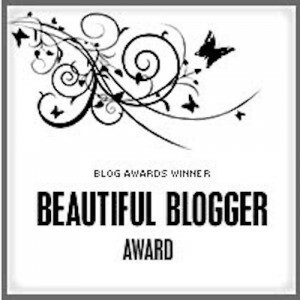 I was nominated for two Liebster Awards by Katie from Plus Beauty and Chanelle Hayley . I’m truly touched and grateful that they thought of me as they both have amazing blogs so if you’re not following them yet, head on over there and follow them. 🙂 I decided to incorporate both awards here as opposed to having two separate posts but I will answer both sets of questions given. I would have to say Christmas because I get to spend time with all of my family that has a great holiday spirit, whether we are having an ugly sweater contest, decorating silly hats, eating delicious food and desserts, or finding elves on shelves. Throw in Christmas lights and music (yes, I do love me some Christmas tunes) and it’s the best time of the year- minus of course all the traffic, rude people, etc. How the Grinch Stole Christmas- love that movie along with Elf! A fashion trend you’ve never understood? Ugg boots. No offense to anyone who loves them but I just don’t see what all the hype is about. Do you have any highlights of 2014? I was able to meet and assist celebrity esthetician Renee Rouleau! Besides blogging, what are your other hobbies/passions? Starting my blog provided me with a larger platform to share what I know/have learned about skincare and makeup and to help people with any concerns they had. There is a plethora of information circulating the internet and unfortunately some of it isn’t accurate. Aside from obtaining more experience in the esthetics field, I am working on completing 100 hours of post-graduate education at the International Dermal Institute. In the future, I would also love to create my own skincare/makeup line. This is a tough one as there are so many people who inspire me. All of you lovely bloggers inspire me with your creative posts,my readers and their awesome questions or concerns, people who work relentlessly towards their goals, and my mother. She is one of the strongest persons I know because she has been through so much yet somehow manages to maintain a positive attitude. 1. 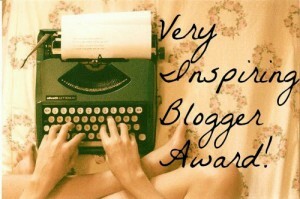 What inspired you to write your blog? 2. If you could pick one high end makeup brand to try, which one would it be and why? 3. What do you hope to accomplish in 2015? 4. What is one staple item you couldn’t live without? 5. What do you do when you aren’t working on your blog? 4. 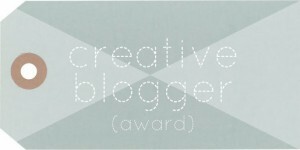 Nominate five or more bloggers and let them know about the award.